3 Is Pandora++ safe to install? Build Store is a third party app store that enables you to install apps from outside the App Store without having to jailbreak your iOS device. 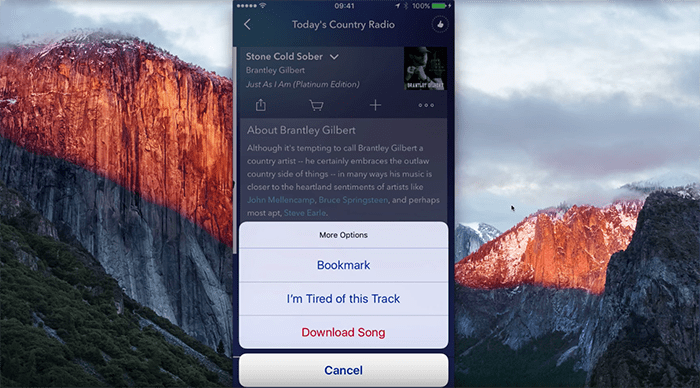 Pandora++ is available on the Build Store, and so, you can install it from here directly on your non-jailbroken iOS device, without using a computer. Update: Pandora++ has been removed from Build Store, so if you want to install the app on your non-jailbroken iOS device, you need to download its IPA file from the Internet (or, from the comment section below), and then install it to your device using Cydia Impactor. You can follow the detailed steps in our dedicated article here. Note: Unless you have an Apple Developer account, Cydia Impactor uses Apple’s free provisioning profile for signing an app, which is only valid for 7 days. In order to continue using such app, you need to repeat the same process (i.e., re-sign the app using Cydia Impactor) after every 7 days. Disclaimer: The article is only intended as a knowledge base for installing Pandora++ on non jailbroken iOS devices. 7labs may not be held responsible for any violation of the terms and conditions, as laid out by the original app developers.